There might be absolutely no doubt in your mind by now that water is the best drink you could possibly consume. There is so much information available to prove that water does so much good for your body and it is a well known fact that we cannot live without it. Information is also available now more than ever about the health benefits of adding a water filter to your home. For many years, not the most popular way to consume ‘filtered’ water is by buying bottled water from the shop. However, we have come to find that this is an expensive venture that is not necessarily good for our health if the water is not of high quality. So adding water filter systems to the home is the alternative that many wise people are now taking and if you’re considering it yourself, then read on to learn more and be convinced that adding exceptional water filters from Pacific Springs is the right move. As mentioned, the cost of buying bottled water from the shop can add up to quite a bit, especially if you have a few people in your home to cater for. With water filters from Pacific Springs, you will find the prices reasonable and the value amazing. If you have been buying bottled water you may have heard that the cleanliness of the water, due to lax regulations, is indeed questionable. But with a filtered water system from Pacific Springs you know that what you are drinking is safe for you and your family. Water filters are known to remove all kinds of toxins such as chlorine, lead and bacteria which can lead to all kinds of health issues. Drinking filtered water is actually considered to reduce your risk of gastrointestinal disease and also improves your wellbeing. 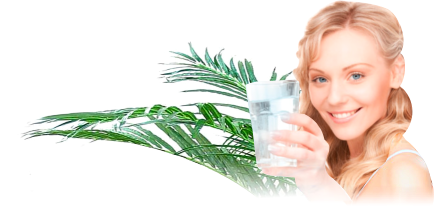 Water is so amazing; it not only improves your ability to lose weight, it also helps to balance your moods, to flush your system and to improve the appearance of your skin. Having to make a trip to the store to buy more water can take valuable time out of your day. With water filter systems from Pacific Springs installed in your home, all you have to do is turn on the tap and Pacific Springs does the rest. With this convenience in mind, it is more likely you will be encouraged to drink more water, resulting in further health benefits. If you’re ready to enjoy fresh, clean drinking water in your home at the simple flick of a tap, visit Pacific Springs online at https://pacificsprings.com.au/. This entry was posted in Drinking Water, Water Filters & Purifiers, Water Health and Safety (OH&S) and tagged water filter systems, water filters by Teala. Bookmark the permalink.